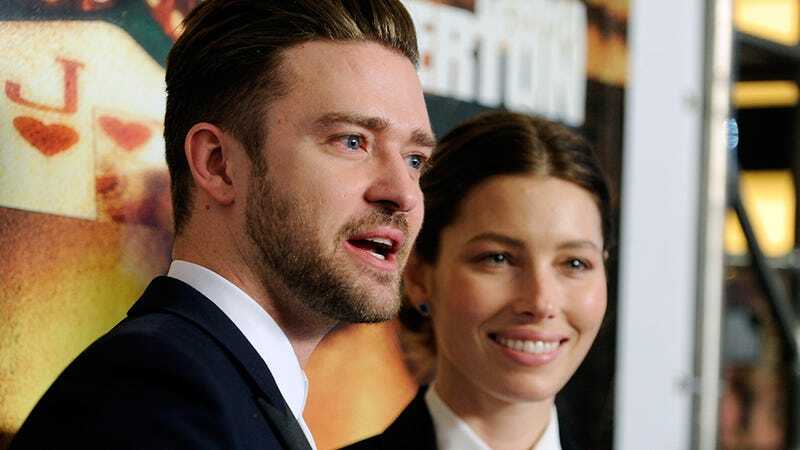 A pair of Hollywood heathens continue to rip right through America’s moral fibers: Justin Timberlake and Jessica Biel have hired gay nannies for their child. On purpose! According to TV3, Biel and Timberlake have not only moved to Colorado to keep their child out of the spotlight, but they’ve also hired two gay men to take care of their newborn Silas. Two gay men that they found through friends, which suggests that they’re not the first Hollywood couple to be corrupting the youth with excellent child care agnostic to sexual orientation. But Jessica, 33, still plans to be a very hands-on mother and Justin, whom she married in 2012, is also doing as much as possible for their baby. Three dudes to change Silas Timberlake’s angel diapers? I smell a sitcom setup, which also smells sort of like a diaper. Biel and Timberlake will return to Hollywood in the near future—maybe even this year—to finish up plans for Biel’s upcoming children’s restaurant “Au Fudge,” the weirdly sexual high-class dining establishment where the kids of rich people can just be themselves.